Welcome to Day 9 of the 12 Days of Holiday Inspiration Blog Event brought to you by "The Inspiration Crew". I used a Deep Red sentiment and a Walztingmouse tree. I love the graphic look of the bright colours and blocks of font. I started with the red sentiment in the centre - I wanted there to be at least one full impression - and then built the pattern from there. Be sure to visit all the crafty ladies in this event for loads of fun Holiday craft ideas. So cool. Love how you built up the pattern. Very, very cool, Ardyth. Love your color choices, but I think that black mat really brings it all into focus. Thanks for sharing! Bright and fabulous! The black trees and frame really make your colours pop! Such a cool card! Love it! graphic look merry and bright! This is just plain fun. Love it. So cute - love the crisp, clean look and all the bright colors. LOOOOOOOOOOOOVE this! It's so graphic and bright and amazing!! Thanks for sharing! Love this! Very cool design! FANTASTIC! LOVE the colors, great take on the inspiration from pinterest. Fabulous! Flawlessly stamped! Fantastic choice of colors! Cool, somewhat clean 'graffiti' look! Very fun and colorful design. 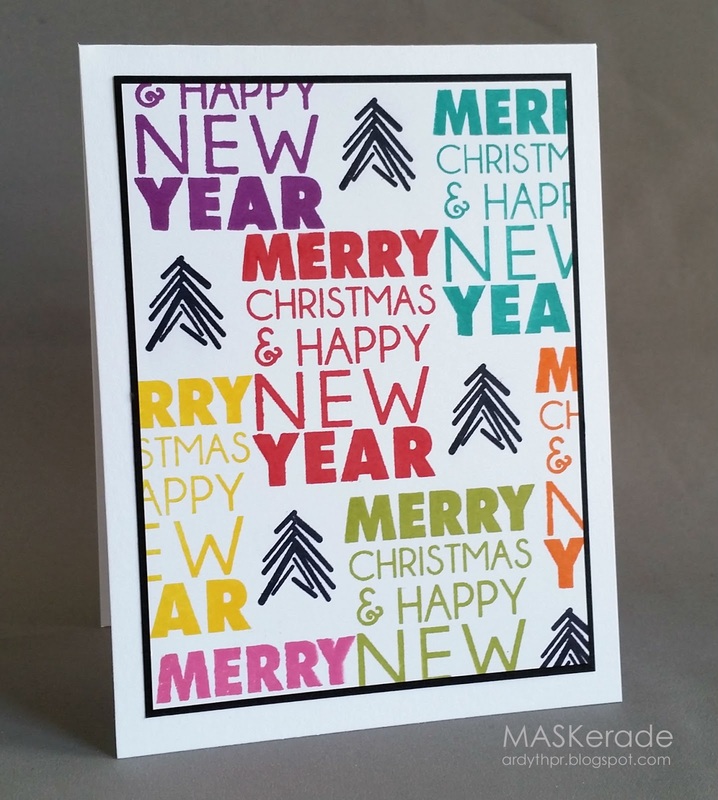 FABulous and fun card...I love all the bright and festive colors, just like a party on a card!